PTJ 247: Hello, Epic Equifail! Goodbye, Cassini! As the scale of the epic security fail at the Equifax credit bureau comes into focus, El Kaiser and J.D. throwback to Episode 159 and a previous conversation about freezing your credit to ice out identity thieves. Among other headlines this week: The end of NASA’s historic Cassini mission to Saturn. Later in the show, El Kaiser shares his tips for dumping useless followers on social media and J.D. has advice for parents dealing with new teenage drivers. Oh, and Apple did a thing a few days ago, too. Spin up Episode 247 and join in! The Internet is a wonderful thing, but where there is good, there is also bad — namely the major spike in identity theft and credit-card fraud. Within the past couple years, hacks of huge customer-info databases like Target, Anthem, Sony, eBay, Home Depot, the IRS, Ashley Madison, JPMorgan, CVS Photo and U.S. government computer systems have put the personal information of millions of people into the hands of evildoers. Getting a fraud alert call from your credit-card company — or seeing and stopping unauthorized charges on your monthly bill — is annoying enough to deal with, but things get kicked up several notches in the PITA department if your whole identity is stolen. If someone gets your Social Security number, address and other personal information, you can find your credit wrecked by that person signing up for new credit cards in your name and running up unpaid bills. One thing you can do to protect yourself, however, is to put a Security Freeze on your credit file with the big three agencies – Experian, TransUnion and Equifax. The freeze locks up access to your credit report — which people issuing new credit cards want to see before they approve a new account. If it’s you wanting that new account, you just have to provide a pre-approved PIN to unlock your reports for creditors, but an identity thief won’t have access to that. So most likely someone else’s application for a new credit card in your name will be turned down, thus saving your credit integrity. Depending on the state you live in, there may be a small fee to freeze or unfreeze your credit files. Activating a security freeze does not affect your credit score, stop fraud on existing credit cards or prevent you from getting a free annual credit report. It also does not stop your mailbox from filling up with “prescreened” credit-card offers and pamphlets, but you can call or go online to opt out of those at 1-888-5-OPT-OUT (1-888-567-8688) or at www.optoutprescreen.com. 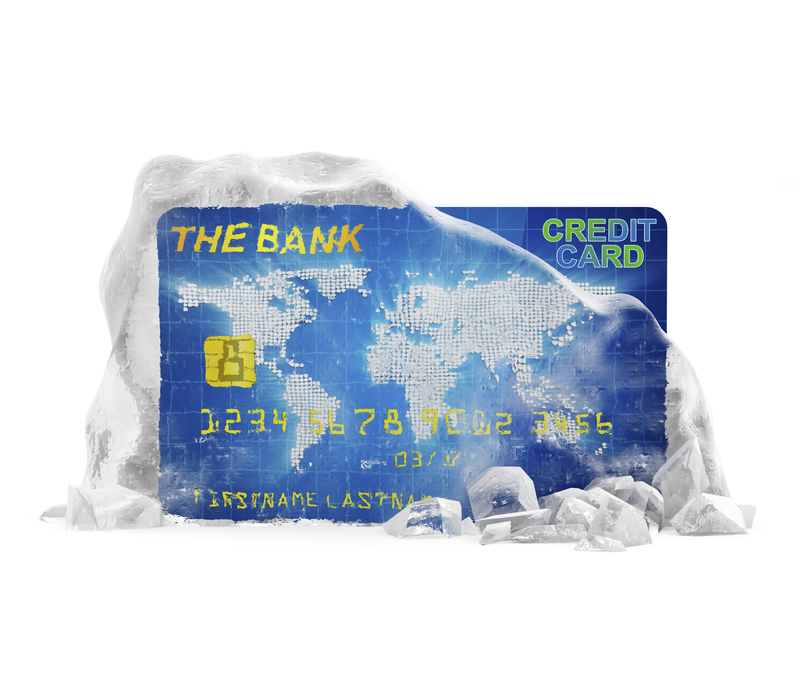 Intrigued, but want to know more about the credit deep freeze? The Federal Trade Commission has more information on its site, as well as details on Extended Fraud Alerts. Adding a freeze may take a few minutes out of your day, but it can help protect your identity and credit score. And as they say, the best defense is a good offense.